Simply put, "Farmstead" means "from the Farm". What makes Farmstead cheese so special? The French have a word for it... "Terroir". From the land. About the land. Of the land. The terroir of a farm has everything to do with the end product. "Our cows eat local grasses all year long. The milk is consistent in our stable coastal climate. The salty, Pacific breezes help cure and age our cheese and we don't rely on milk from any other farm. This allows us the ability to guarantee consistent, supreme quality all year long." The Giacomini commitment to producing superior quality, farmstead dairy products began over 100 years ago in the mountains of Italy. Today Bob Giacomini and his family continue the family tradition with their Point Reyes Original Blue and Toma cheeses. 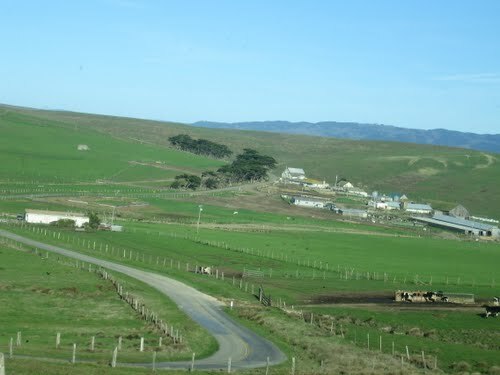 Bob began milking cows on his Point Reyes dairy in 1959. Over the years, Bob and his wife Dean, together with their four daughters, Karen, Diana, Lynn and Jill, developed a shared vision of bringing an all-natural farmstead product directly from their ranch to the consumer's table. 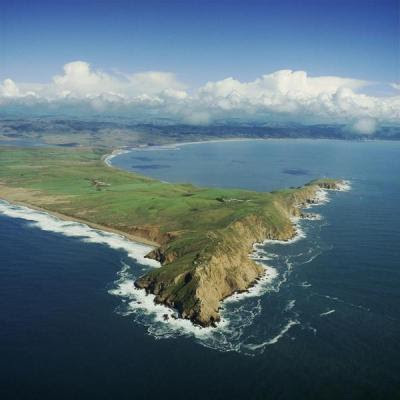 This dream was realized in August, 2000 when they founded Point Reyes Farmstead Cheese Company and produced the first vat of Original Blue™. The following day the cheese is removed from the forms and taken to a curing room for about 3 weeks. In the curing room the wheels are hand-salted, turned numerous times by hand and punched with stainless steel needles to introduce oxygen into the body of the cheese. The oxygen is needed to activate the mold and create the blue veins found in Original Blue. The last step is the aging room. Here the wheels are left for 5-6 months. During this long aging process the creamy texture and full-flavors develop.